While the DCDL’s services are still being developed, it has created an online guide for library patrons and staff alike, featuring resources about Deaf Culture, American Sign Language, accessibility, and more. 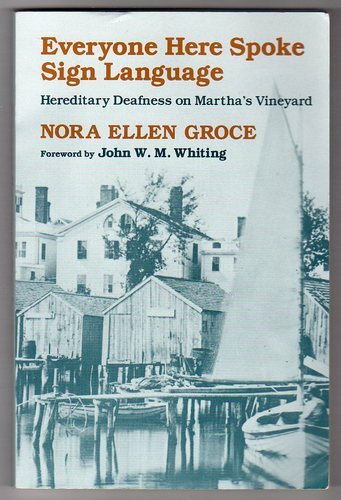 Find the Deaf Culture Digital Library resource guide here. Do you know about Project ENABLE? Project ENABLE is the result of an extraordinary partnership between the Center for Digital Literacy, the School of Information Studies (iSchool@Syracuse) and the Burton Blatt Institute at Syracuse University. This project provides free online training modules designed for public, academic and school librarians to help them make their libraries truly inclusive for all users. Thanks to funding from the Institute of Museum and Library Services, anyone interested in creating accessibility in libraries can access these trainings, and modules can also be customized for individual or group use. Once you sign up for a free account, you’ll take an initial assessment and then have access to five self-paced training modules, focusing on disability awareness, disability law and policy, creating an accessible library, planning inclusive programs and instruction, and assistive technology in libraries. Each module features interactive learning activities and a brief self-assessment, for a total of ten hours of instruction. Additional resources on the site include a template and checklists for a library accessibility action plan, universal design, Americans with Disability Act compliance, and sample lesson plans for school librarians. A certificate of completion is available for those who complete the training. by Alice Hagemeyer of Friends of Libraries for Deaf Action. Reposted with permission. Now kids and parents, deaf and hearing alike, can enjoy and learn ASL through this cool storytelling app! 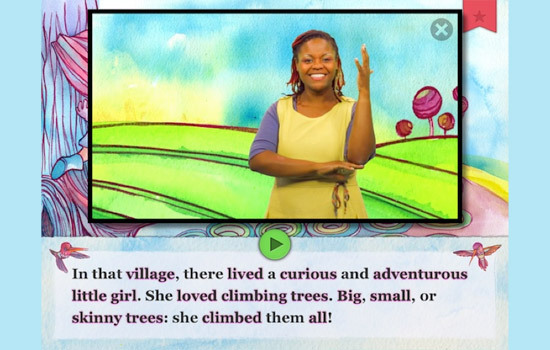 An all-deaf team at the Center for Access Technology at the National Technical Institute for the Deaf, through a collaboration with Gallaudet University’s Visual Language and Visual Learning (VL2), has released “The Baobab”, the first of a series of American Sign Language/English bilingual storybook applications for iPads and Android tablets.